Chrome extension Steam Context Menu has been updated to version v1.2.0. This release contains the following changes: Added option to search IsThereAnyDeal Steam Context Menu allows you to search for games on Steam, SteamDB, or IsThereAnyDeal using the context menu in Google Chrome. The extension is especially useful viewing games from retailers other than Steam. When viewing a game on another retailer’s web site, select the game title text, right click and select “Search Steam”. 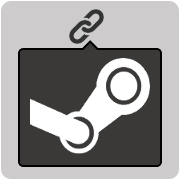 Chrome extension Steam Context Menu has been updated to version v1.1.0. This release contains the following changes: Added options page Added additional menu to search SteamDB Added option to use SteamDB Instant Search Added additional menu to change extension options Steam Context Menu allows you to search for games on Steam or SteamDB using the context menu in Google Chrome. The extension is especially useful viewing games from retailers other than Steam. Steam Hover has been updated to Version 1.1.1 Fixes Tooltip will no longer be stuck loading if an HTTP error occurs when fetching details for the signed in user Fix for tooltip not appearing on https links Enhancements Add “Too Many Requests” tooltip on title if user IP is rate limited by steam See the full list of features on the extension’s GitHub Page. Steam Hover has been updated to Version 1.1 New Features include: Show if Owned or on Wishlist Change the title color if game is owned or on wishlist Title will be green if owned (screenshot) Title will be blue if on wishlist (screenshot) Title will be white if you are not signed into steam or do not own the game TIP: Mouse over the title to view tooltip indicating if you are signed in (screenshot) Must be signed into Steam for title to change color Colors may be changed in options See the full list of features on the extension’s GitHub Page. I frequent the Game Deals reddit to pick up indie games for cheap. When going through the comments section, I search Steam for more information on games others recommend. To accelerate that task, I created my first Google Chrome extension. Steam Context Menu provides a simple context menu to search selected text on Steam. 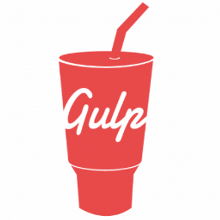 The extension is available in the Chrome Web Store and the source is available on GitHub.